We are one of the distinguished manufacturers, exporters and traders of an unlimited collection of PVC Profiles and Sleeves. Our range is massively acclaimed for its rugged construction, excellent resistivity and low maintenance. We are an ISO/TS 16949:2009 certified company, engaged in manufacturing, exporting and supplying a wide range of PU Tubes, Nylon Products. Under the category of PU Belts, our products include PU Belt, PU Rough Finish Round Belt, PU Sleeves, PU Tube & LD Pipe and PU Pipes. In the classification of Nylon Products, our products consist of Nylon Pipes, Nylon Spirals, and Nylon Mandrel & Nylon Tubes. We are also manufacturing plastic molded products, rubber molded products, rubber elbow, water inlet pipe, spiral sleeves, refrigeration gaskets and door gaskets. 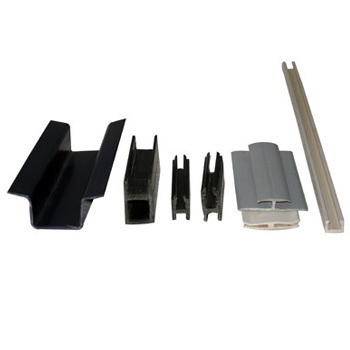 These are widely used in the electrical industry because of its durability and efficient performance. Our range is widely appreciated in India as well as other countries like U.S.A, Canada and U.K.